Skills and abilities: Trained marine and shield operative. Proficient in hand to hand combat, espionage and rifles. Very gifted Trumpet player. Facts: He is one of the earliest black characters in comics and predates African American characters like the Falcon, John Stewart and Black Lightning. Serving with Nick fury during world war two he would remain a valued ally in the Vietnam and Korean war. When nick became director of shield he was made one of his right hand men along with Dum Dum Dugan. During world war hulk he was tasked with bringing in Hulk and his allies. 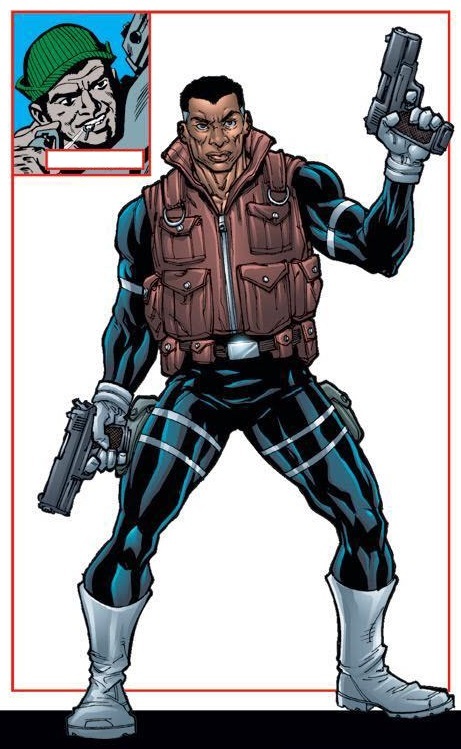 He was killed in Secret Warriors #19. He is also noted as a friend Black Panther T’challa‘s father Azzari.